China Mobile’s (NYSE: CHL) Chairman, Wang Jianzhou, officially stepped down yesterday, citing age as the reason. We do not think this surprised the market given that at 63, Chairman Wang already exceeds the official retirement age of 60. His replacement is Vice Chairman, Xi Guohua, who is also secretary of the Central Politburo of the Communist Party of China (CPC Committee). We look favorably upon a senior government official joining the ranks of CHL. The hope is that this will improve and expedite government relations. Xi Guohua has experience in the telecom industry and has served as the Vice Minister of the Ministry of Industry and Information Technology (MIIT). During his time at MIIT, Xi Guohua was very supportive of self-innovation technology (including TD-SCDMA and TD-LTE). TD-LTE stands for Time Division Long Term Evolution and has been ramping up in prior months. Though similar to traditional LTE, TD-LTE is cheaper and has less traffic than traditional LTE. LTE networks carry two separate signals for data moving in each direction (uploading, downloading) whereas in TD-LTE, there is just one channel that allocates the bandwidth. Typically mobile device users do not do both simultaneously, so TD-LTE seems like it has a good probability of being accepted by smartphone users. The other benefit of TD-LTE is that it is can be upgraded easily compared to LTE from WiMax, which is a standard for 4G. TD-SCDMA stands for Time Division Synchronous Code Division Multiple Access. It is China’s gold standard for 3G mobile telecommunications and was developed in the 2000s to avoid dependence on Western technologies. Chairman Xi has indicated that though TD-SCDMA is losing money, it will help pave the way for a TD-LTE launch. The outcome remains to be seen. And while TD-LTE is currently only used in China, there are talks of exporting it to other developing countries. Given his previous support, it then makes sense that the newly appointed Chairman Xi will push to roll out the TD technology and to expand TD-LTE on a global scale. We do not expect a commercial launch of 4G from CHL for at least a couple of years. 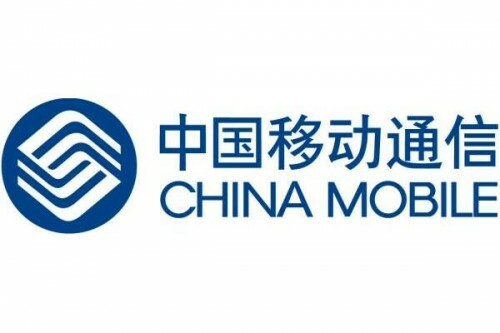 The Chinese government, specifically MIIT, will not issue 4G licenses until the technology is considered mature, so CHL profitability growth will likely be challenged as it will have difficulty reaping the benefits from a 4G service launch in the near-term. Further negative news came last month with TD net additions falling 3% month-over-month to 2.6 million subscribers, which puts it behind China Unicom (NYSE: CHU) with 2.8 million subscribers. The TD subscriber base stands at 56.6 million but analysts find it unlikely that CHL will regain 3G market share since its customer base is comprised of lower income users versus CHU. And unfortunately for investors, there is no visibility on the commercial launch of TD-LTE. CHL did announce that it added two cities to phase II trials for TD-LTE. That brings the total to nine cities. Hangzhou and Shenzhen are set to begin pre-commercial trials soon. Another concern of ours is that there has recently been a lot of reshuffling amongst the management and board of CHL, which could potentially negatively affect strategy and execution. In early March, VP of Marketing, Lu Xiangdong resigned as part of an ongoing judicial investigation. It is speculated that he was leading talks with Apple regarding the iPhone 5; any setback on that front will hurt stock performance. Note that although Lu Xiangdong is the most recent executive to resign, there have been ten others at CHL who have been investigated for financial irregularities—jail sentences are being served by Zhang Chunjiang, a former deputy general manager, and Li Hua, a former general manager of the Sichuan branch. The past is the past, but we find this pattern to be disconcerting and suspect the market does too. CHL stock had a nice run up last week, which was based on expectations for a higher payout ratio for FY 2012 and the focus on the developments surrounding TD-LTE, but we see that as a temporary jump. Average Revenue per User (ARPU) is unlikely to grow significantly per management’s comment on the downward trend it believes will persist due to the decline in tariff rates. Also, don’t except a dividend increase this year as management plans to maintain a 43% dividend payout and use cash for future investments. CHL is a significant holding for John Kleinheinz (read more John Kleinheinz’s Top Picks), Ranjan Tandon, and Cliff Asness. It trades at ~10.3x FY 2012 P/E. US-based competitors AT&T (NYSE: T) trades at ~13.5x 2012 earnings, Verizon (NYSE: VZ) trades at ~15.9x 2012 earnings, and Vodafone (NASDAQ: VOD) trades at ~9.7x 2012 earnings. We like the 4% yield but would like to see good TD-LTE reviews and subscriber growth before buying the stock.